Does our story touch you? Perhaps we can work together to help change lives? 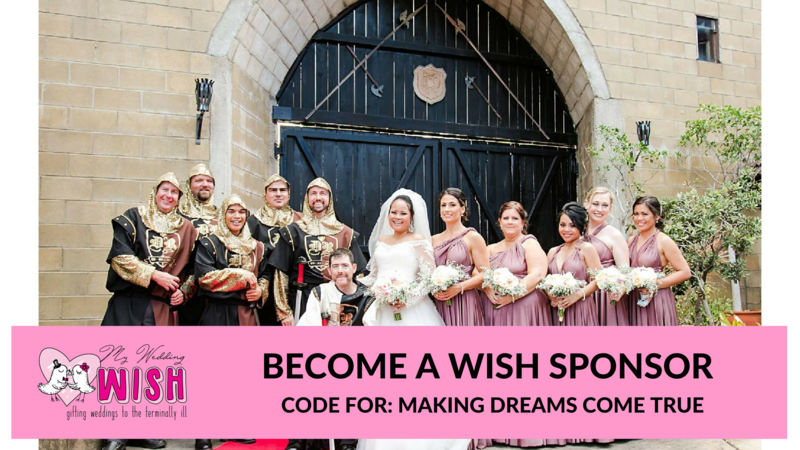 My Wedding Wish is rolling out Chapters around Australia and we need your help to gift beautiful weddings to the terminally ill around Australia, because everyone deserves a beautiful wedding. We are looking for major Wish sponsors and strategic partners to help us do this. Is your business in the business of helping ‘make dreams come true’? Do you want to come on this awesome and fulfilling journey with us? We want you! Perhaps you want to make us the recipient of your next fundraising efforts or sponsor an event? Or perhaps you’d like to sponsor our Inspiring Women books? Or you can help point us in the right direction for grants and other donation opportunities. My Wedding Wish has DGR status, so we’re able to give tax receipts for donations.